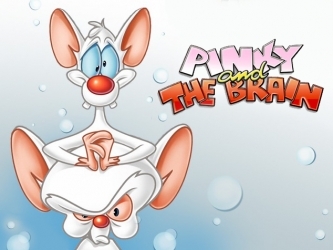 Pinky and Brain are genetically enhanced laboratory mice who reside in a cage in the Acme Labs research facility. 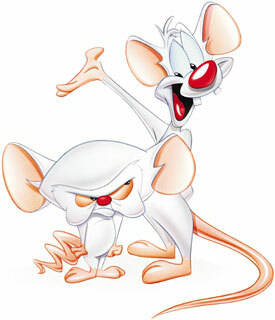 Brain is self-centered and scheming; Pinky is good-natured but feebleminded. 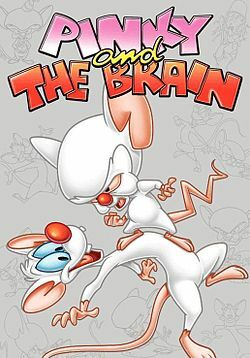 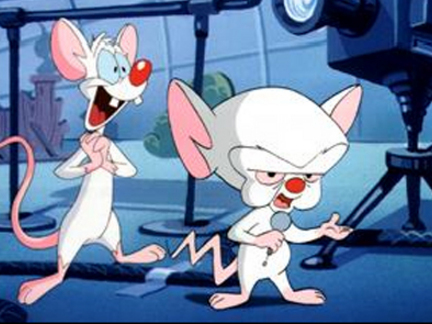 In each episode, Brain devises a new plan to take over the world, which ultimately ends in failure, usually due to Pinky’s idiocy or the impossibility of Brain’s plan. 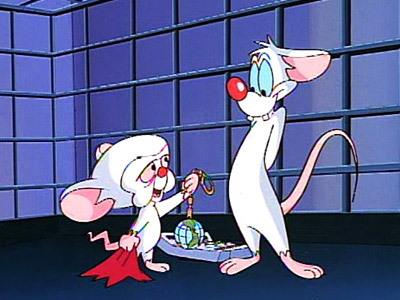 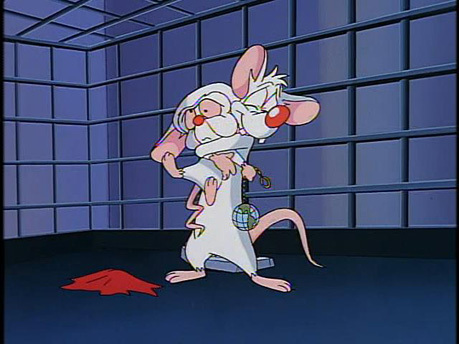 Both Pinky and the Brain, white mice kept as part of Acme Labs’ experimentation, have undergone significant genetic alteration; as per the show’s title lyrics, “their genes have been spliced” which gives the two mice amplified intelligence over that of a typical mouse, the ability to talk to humans, and anthropomorphism. 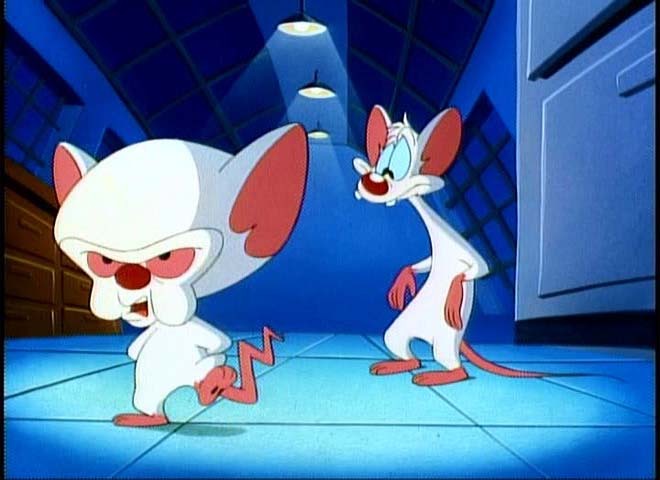 Although Pinky and the Brain plan to conquer the world, they do not show much animosity; in a Christmas special Pinky even wrote to Santa that Brain had the world’s best interests at heart.